Working with you to discover the rewards of chemical health. Make positive changes and live a chemically healthy lifestyle with help from our outpatient alcohol and drug abuse treatment center in St. Paul, Minnesota. 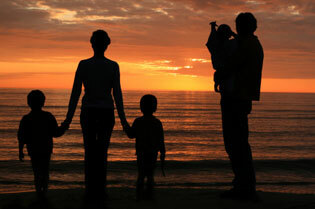 Since 1984, Conceptual Counseling has provided responsive and caring services to people with substance related issues. Our programs are tailored to meet your unique needs and circumstances. Contact us today at (651) 221-0334 to learn more about the program that is right for you. Call our substance abuse treatment facility today at (651) 221-0334 to start your journey to health. Our services are designed to assist men and women with substance related issues. We offer confidential and comprehensive chemical health assessments, primary outpatient treatment, relapse prevention programs as well as Driving With Care (DWC) education and therapy programs–all carried out in an environment that is built upon respect and concern for our clients. Our facility is licensed by the State of Minnesota under Rule 31 and recognized by the MN Department of Public Safety, court systems and community corrections departments. Conceptual Counseling has been in the business of working with DWI/DUI related clients for over 29 years. Because of this experience, we are fully prepared to guide you through the necessary requirements to reinstate your driver’s license and/or obtain driving privileges through the Minnesota Ignition Interlock Program. Call us today at (651) 221-0334 to start receiving the help you are looking for.